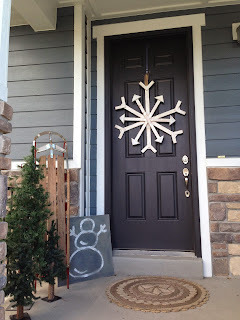 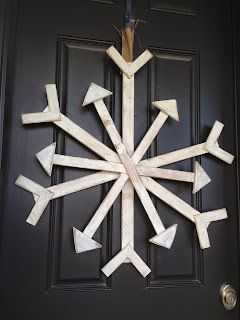 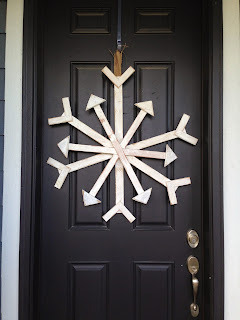 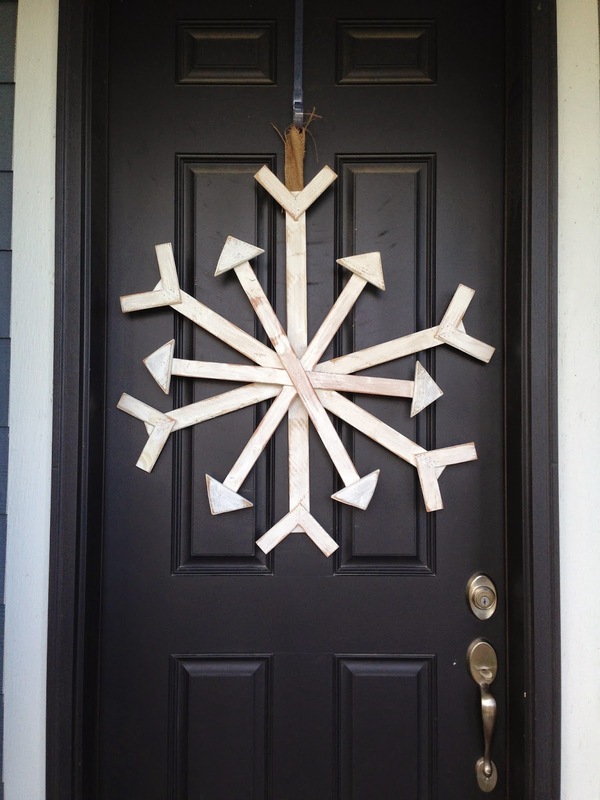 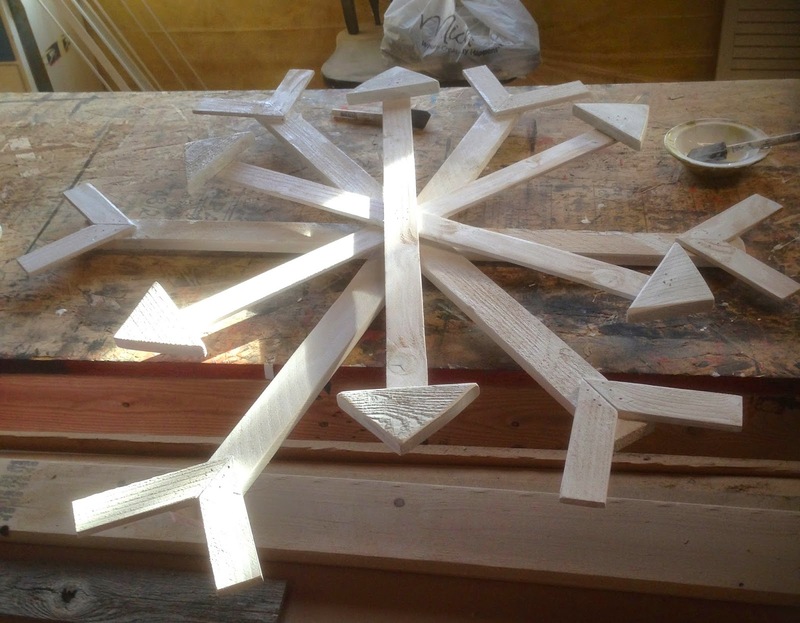 I completed another Pinterest project that I have been meaning to make for a while... a wood snowflake for my front door. 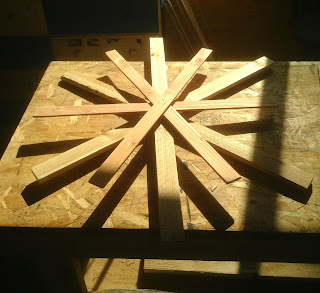 I used THIS tutorial for my inspiration. 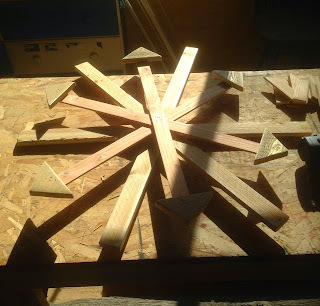 - 3 lathe slats cut to 24"
Since I didn't want the snowflake fat and bulky in the middle, I mitered the 13.75" pieces to fit against the 29" cedar board. 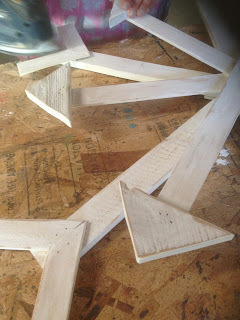 I put wood glue on the ends then stapled the pieces together. 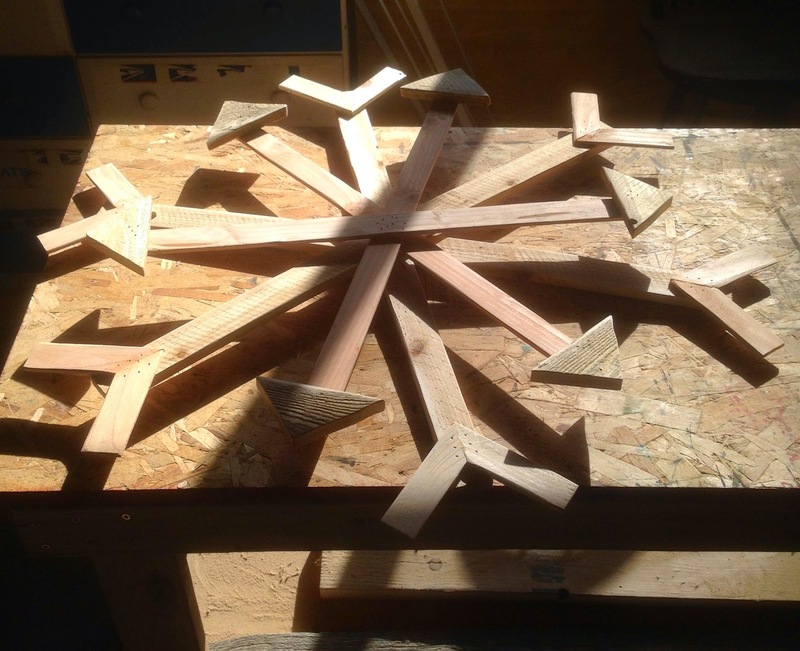 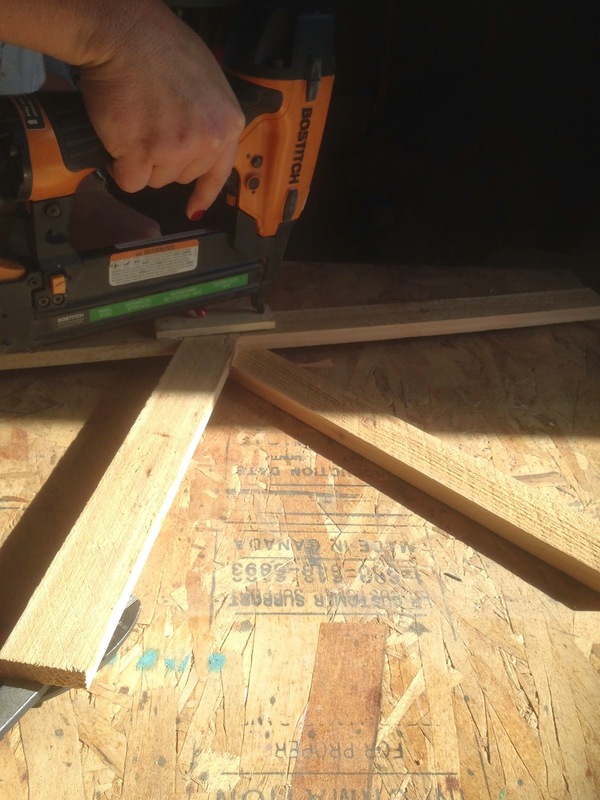 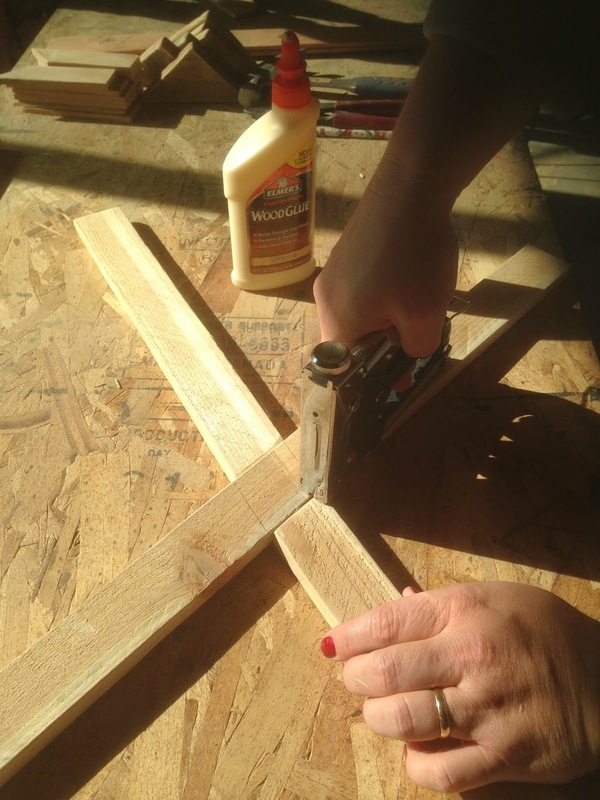 Keep in mind that your nails will be longer than the wood thickness, so you may have to use your wire cutters and cut the nail ends off during the whole project. 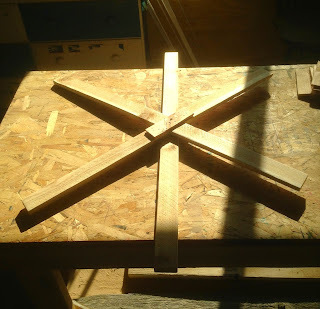 Next, I nailed & glued another 29" slat piece on top of the "X" we just made. 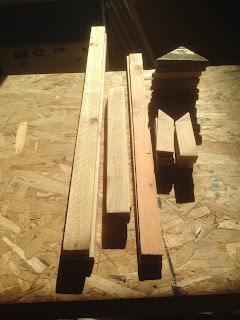 For extra stability, I nailed & glued a smaller lathe piece to the back of the wood pieces. 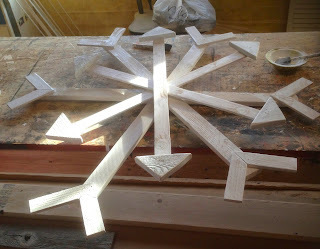 Here is how the snowflake should look at this point. Next, I nailed & glued the mitered lathe pieces to make a "v" on the end on each cedar (29") pieces.